This week we have two unique products for when you are on-the-go and three must-haves when you are at home. So whether you are indoors, or out, you can get your Grommet on! A Better Bottle. ALEX lives up to its extraordinary moniker ("Always Live EXtraordinarily"). The body is built from 50% recycled stainless steel, and the carrying strap is made from recycled plastic water bottles. The middle joint makes it easy to clean (by hand or in the dishwasher) and simple to reconfigure. ALEX comes in two different sizes, and if you join half of the 32-ounce bottle with half of the 20-ounce bottle, you can expand your sizing options. (Starting at $25.95) Buy ALEX safe and easy to clean stainless steel water bottles here. From Elixir to Mixer. Jovial King, a practiced herbalist, has achieved just the right balance of old and new in her refined bitters. Through her venture, called Urban Moonshine, Jovial harnesses the power of local plants to create intense flavoring agents by steeping herbs, roots, leaves, berries and fruits in alcohol. You can choose her Original blend, Citrus flavor or Maple bitters. We’re also featuring Urban Moonshine tonics, which are medicinal bitters such as Immune Zoom for fighting the common cold. These organic bitters and herbal tonics are packaged in glass apothecary bottles that perfectly capture the classic-yet-exotic spirit of Jovial’s creations. (Starting at $15.95) Buy Urban Moonshine's herbal bitters and tonics here. Hug-A-Plug It’s hard to believe no one thought of this until now: an adapter that changes the orientation of an electrical outlet, so power cords run parallel to the wall instead of sticking straight out. This way you need less clearance behind furniture and appliances. Plus, this right angle electrical plug safer alternative to bent plugs and crimped cords that get jammed into tight spaces. 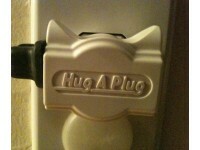 (Starting at $19.95) Buy the Hug a Plug right angle electrical plug here. KangaTek Slim Shoulder Sling Creators Martha McDaniel and Greg Menzel designed this slim shoulder sling with four zippered pockets for organizing and securing your valuables. Made from water-resistant neoprene, it has space for your wallet, cell phone, MP3 player, camera, keys and whatever else you like to have handy. It doesn’t get in the way of your activities, so whether you’re skateboarding, walking a dog, or navigating on crutches, you can keep your valuables secure and accessible. 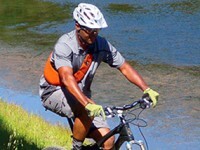 (Starting at $39.95) Buy the Kanga Tek shoulder slim pack here. Film Festival In A Box. We think Film Festival in a Box is a fun, easy way for movie lovers to screen independent films and spark lively, thoughtful discussions and a great excuse to invite friends over, pop some popcorn and play the role of movie critic (for a fun gift idea, you could pair Film Festival in a Box with this really clever popcorn popper). (Starting at $14.95) Buy the Indieflix film festival in a box game here.